The Next Generation Mobile Networks (NGNM) Alliance and ITU organized and successfully held a multi-stakeholder conference on licensing practices in the emerging, pre-standard 5G industry and the Internet of Things (IoT). The conference, held in Geneva, Switzerland, attracted representatives from network operators including NTT Docomo, vendors including Ericsson, Nokia and Microsoft, and licensing and standards bodies such as ETSI and the Japanese and European Patent Offices. Also participating were representatives from vertical industries set to benefit from the introduction of 5G – including automotive, consumer electronics and semiconductors – as well as patent tool administrators. Identifying proposed practices and conducts for paent licensors and licensees. “It’s great to notice that our joint ITU-NGMN conference has been such a success. Obviously, the 5G ecosystem is different. New use cases beyond mobile broadband – like massive IoT as well as highly demanding requirements from vertical industries on low latency, ultra-high reliability and security – are causing substantial network transformation,” NGMN CEO Dr. Peter Meissner said. All these challenges have implications on the intellectual property of mobile network operators and across the different industry segments. Conferences like this are key in identifying IPR issues and exploring solutions for the enlarged ecosystem,” he added. On a related matter, NGMN will be hosting a Press & Industry Briefing on 5G use cases beyond mobile broadband on 26thFebruary 2019, from 11am – noon at Mobile World Congressin Barcelona, Spain. If you are interested in attending or speaking to an NGMN representative, please contact: ngmn(at)proactive-pr.com. NGMN and Wireless Broadband Alliance (WBA) have published the first results of their collaboration to drive the convergence of multi-technology RANs and core networks. The joint report identifies a number of emerging opportunities and use cases that the industry can benefit from through the convergence of 3GPP’s 5G and Wi-Fi, driven by the ever-enhancing capabilities of licenced and unlicensed technologies. It also highlights the key challenges, which must first be addressed in order to realise convergence over 3GPP Access and Wi-Fi – including tighter integration of Wi-Fi access in 5G networks, network manageability and policy control, and the enablement of Wi-Fi-only devices. Wi-Fi and cellular ecosystems have traditionally followed their own development paths. The latest versions of each technology have greatly enhanced capability compared with early offerings, with Wi-Fi 6 and 3GPP’s 5G, encompassing New Radio (NR) and LTE from Release 15 onwards, as well as the 3GPP 5G Core. However, as society increasingly depends on fast reliable data connectivity, NGMN and WBA believe an important capability for the industry is the convergence at a network level between 5G and Wi-Fi, so that the unique and complementary capabilities of both RANs can be leveraged to provide seamless network services. Bearing in mind that a significant amount of data traffic from smartphones use a Wi-Fi access, this will lead to a better user experience and create new business opportunities for both Wi-Fi and cellular providers. The report identifies a number of use cases and verticals that may require combined resources from both 5G and Wi-Fi networks in providing cost effective solutions that meet diverse sets of requirements on throughput, latency, connection density, coverage, availability and reliability. For example, enterprise services on cellular networks, and in particular, those that the 5G Core enables, may require a new look at the use of an access neutral mechanism for a number of reasons. These include gaps in coverage, the proliferation of indoor and outdoor Wi-Fi deployments, and potential for multi-site enterprise environments. 3GPP has already developed specifications to ensure tight integration of 3GPP and non-3GPP radio technologies, such as Wi-Fi. In order to better serve customers and provide the full 5G experience the tight integration of non-3GPP technologies needs to be ensured also within the 5G Core Network. Solutions enabling some of these objectives have already been adopted by 3GPP and Wi-Fi 6, such as the EAP authentication framework similar to Wi-Fi, to accommodate different wireless service subscription-types (e.g. mobile, wireless or fixed broadband) and their native authentication methods. 3GPP Release 16 is continuing the work by enhancing capabilities for Wi-Fi integration, including trusted Wi-Fi support and access traffic steering, switching and splitting. 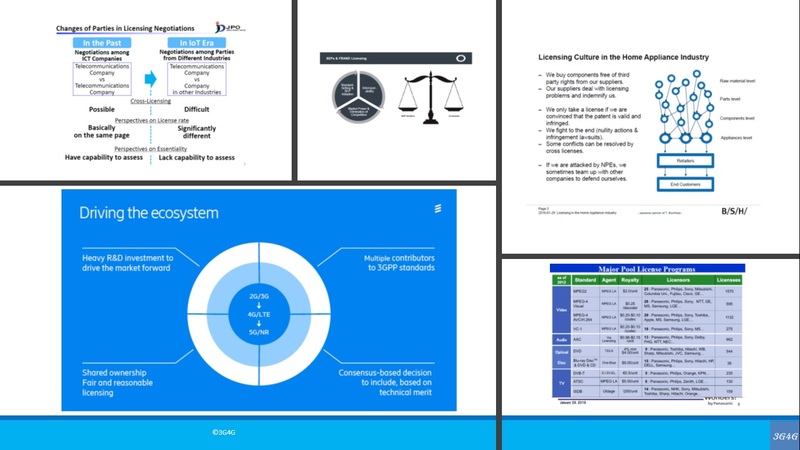 However, challenges and needs remain – including the enablement of Wi-Fi only devices to connect to the 5G core, further study to ensure the tight integration between 5G and Wi-Fi networks, an interface to enable certain level of network manageability and policy control between 5G core and Wi-Fi networks, and the ability of a client to route traffic over one or more accesses, making optimal use of the available connectivity. As a next step, the WBA and NGMN are undergoing further study on these challenges in order to uncover potential solutions. This will culminate in the recommendation of a future strategy for Converged RAN deployment, ensuring the best user experience making use of both Wi-Fi and Cellular access. This entry was posted in 5G, AT&T. Bookmark the permalink. An AT&T representative chairs ITU-R WP 5D, which is responsible for the IMT 2020 (official 5G) standard. Another AT&T rep chairs the WP 5D SWG on Radio Aspects within the Technology WG. Hence, AT&T has tremendous influence and impact on IMT 2020 yet it’s marketing communications department falsely claims the company has deployed “standards based” mobile 5G.